Everyone likes convenience and everyone likes to save money. Combining these things together seems like a good idea and mobile devices makes that possible for marketers. Recent data from Juniper Research suggests mobile coupon redemption rates will increase significantly over the next five years. A new study from Juniper Research has found that e-coupon redemptions will double over the next 5 years, reaching $81 billion in 2021, increasing from an estimated $40 billion in 2016. One takeaway from the study is that marketers should try to integrate SMS and mobile apps in their strategy for reaching people on smartphones. According to the report, more than 75 percent of e-coupon redemptions by 2021 will be driven by mobile devices, with text-message delivery being a large part of the increase. While their performance won’t be as impressive as other forms of mobile marketing, offers directed at consumers who use a brand’s app will also increase, according to Juniper. Of the three quarters of e-coupon redemptions mentioned above, 25 percent will be generated by in-app offers. Besides offering advice on the best channels to use, the team from Juniper Research also recommend that marketers consider using advanced technologies, like bots, to help handle some of the increase in requests from online consumers. The researchers note that some large companies, like Domino’s Pizza and Iceland Air, have begun utilizing bots and they suspect that trend to continue. This makes some sense, as bots become easier to add to services like Facebook Messenger. While one should suspect bots to increase for large companies, this may not be the best option for small businesses. Though bot creators would disagree, many people can tell when they are getting responses from an automated bot, rather than a real person. This can lead to a sense of annoyance if people feel like their concerns are truly being heard. And the smaller the company, the greater the annoyance will be. It’s one thing to have your message handled by a bot or ignored by a multinational company, they get tons of requests. But if a small, local business resorts to using bots on their customers and fans, it’s not going to make it seem like the business cares about the public. Though their confidence in bots might be misplaced, one tactic Juniper recommends that marketers should consider is the use of coupon aggregators. Many people use sites and apps like RetailMeNot and Groupon to reach large numbers at customers at one time. The fact that the apps can be used to target customer near a location is an added bonus. There are a lot of marketing trends that come and go, but one constant is that people like to save money. 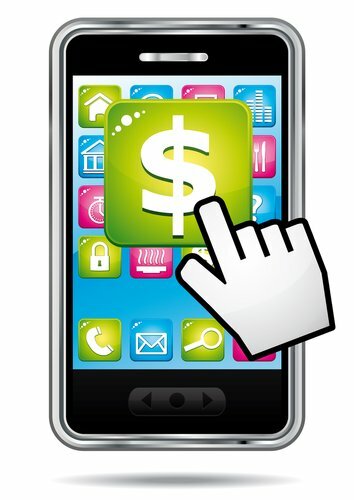 Juniper’s research suggests that consumers will increasingly use mobile devices and apps to find these coupons. Business owners and marketers can take advantage of this by making their coupons easy to find. For more information on recent research for marketers, read this article on this Nielsen study on mobile ad effectiveness.